Do you Know How Massage Therapy Helps To Deal with Emotional Stress? Sometimes it is hard to figure out the reason for emotional and mental stress. Today, it is easy to stress over pity matters but hard to recover from these running emotions. As per the statistics, one may even be stressed for the lifetime, without any reason. These details are perplexing because we live in an era, where everyone is competitive and don’t have time for anything. We run all day long to complete the errands and at the end, all we experience is mental and physical pressure. The stressful meeting, children’s’ chaos, negative thoughts, drooling past and emotional baggage are a lot to handle and are often stored in our nervous system and muscles. Often we ignore the stances but our body keeps them as a score of stress, emotions and life events. To overcome such daily pressure, you must indulge in therapies that will help you to relax and perform better for the upcoming time. Massage therapy, as you all know, is great to boost the physical and mental status. It has effects beyond our understanding and heals a person physically, mentally, and spiritually. Massage therapy is a great alternative that helps to get relief from pain and chronic pain. More than physical benefits, massage therapy can help you to achieve an optimal emotional and psychological wellness. Sleep is an essential factor to keep yourself energized when you wake up. 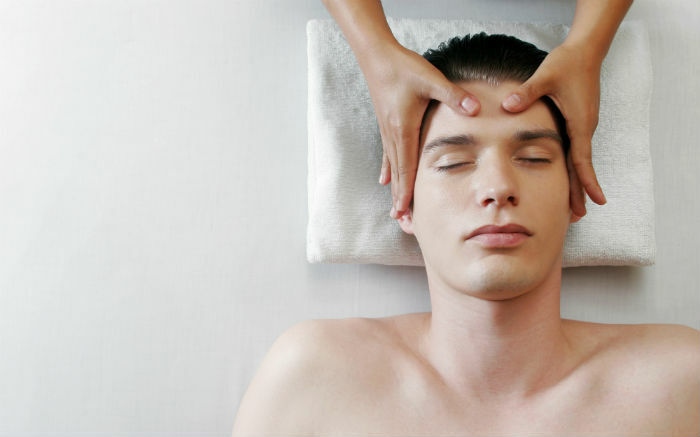 A massage therapy can help you get more sleep at night and you will wake up fresh. The feeling after a good night’s sleep is worth the investment and can even boost your productivity. As per the research, massage therapy stimulates the blood flow that will deliver oxygen to the body’s cells that will boost the energy levels. Physical anxiety, stress, and depression are normal these days and affect everyone – from kids to older people. A massage therapy can increase the levels of oxytocin and serotonin in your body that will make you feel less stressed. The research indicates that massage therapy can help with decreasing the effects of anxiety and depression; it activates the sympathetic nervous system of a person and reduces their anxiety levels and improves the moods. Overall Relaxation of the Body! Today work has become so important and in order to keep up with the competitive world, we neglect our health. Weekends are to enjoy, but we still think about the next week works and spend the time in planning the work and solving personal issues. There’s hardly any time for self-care and self-love. Pampering yourself for once a week is necessary so that the week’s tension and stress can be easily dealt with. Make time for yourself and relax for a couple of hours; this will allow you to forget about the work and you will get some peace, which is necessary to deal with the stress of the upcoming week. This will boost your productivity and you will be refreshed and energetic. All the aspects mentioned above are familiar with all of you; to engage in Massage Therapy in Toronto, as the therapists are well trained and provide exceptional services. A trained therapist will use the right techniques and the effects of the massage will be long-lasting. A regular massage therapy will help you to deal with your emotions effectively and provides you mental peace. A stronger mind will help you to deal with situations that need your mental attention and massage therapy is the best option for it. Author Bio – Neha Tanwar is a professional content writer. She has done her graduation in CSE, but was always attracted towards writing. Shy by nature, she loves expressing herself through her writing. She loves travelling to exotic places and is a foodie. She spends her free time by reading novels and cooking.